Professor Tan Sri Dr Kamal Mat Salih believes Malaysia still needs the New Economic Policy (NEP) to bring about economic and social balance in society. There is also still a role for intellectuals and patriots to design new modes of economic and social development for the country based on the NEP. Speaking after he was awarded an Honorary Doctor of Philosophy (Social and Economic Development) at the 3rd session of the 42nd Convocation of The National University of Malaysia (UKM) here today, Prof Kamal Salih, 68, appealed to the post-NEP generation of thinkers and intellectuals to step forward and deal with the host of economic and social problems facing the country. The NEP is increasingly perceived as archaic and obsolete as the nation is entering an era of more openness, transparency and fairness. The challenges faced now, he said, is to show that the NEP is still relevant when there are economic problems and social dissentions brought about partly by a more liberal condition. He, however, admitted that there are still social and economic ills that have yet to be resolved since the NEP was introduced 44 years ago. Problems such as corruption have yet to be curbed despite the country having comprehensive anti-graft laws that should have been sufficient to handle the situation. He noticed there are huge gaps between the household incomes of those in the top 1% against the 40% who are in lowest group in terms of material possessions and wealth. Prof Kamal Salih expressed concern of the low purchasing power of households despite government efforts to turn the country into a high income developed nation. Likewise with unemployment levels, typically among graduates that is compounded by the unsatisfactory quality of education is not helping matters. He said the challenge is made even more complicated by today’s youths who are now more sensitive to socio-economic issues and not shy about voicing their opinions or demonstrating in public. He said the state of the economy and society is increasingly threatened by intolerance and envy between the communities. In his introduction of Prof Kamal Salih, UKM Vice-Chancellor Prof Datuk Dr Noor Azlan Ghazali said Prof Kamal Salih had long been a renowned economist at home and abroad. His career covers three main areas, in academia, public service and the private sector. 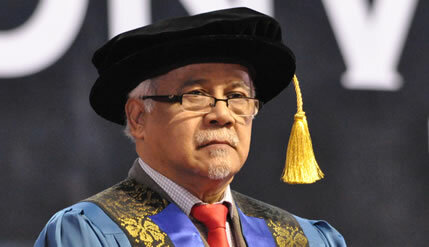 In the academic field, Prof Kamal Salih had been a lecturer beginning in 1970 at the University of Pennsylvannia, and subsequently at Universiti Sains Malaysia as a professor in 1980, when he was 34 years old. In 1982, he held the office of Deputy Vice-Chancellor until 1985. Later in the private sector he had managed private health institutions.